Hey guys! Today, I have a stamping plate review from Born Pretty Store! 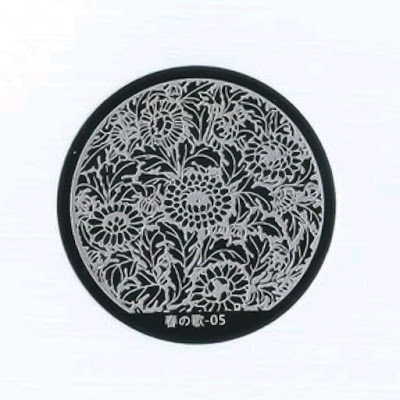 This stamping plate is item Born Pretty Store 29545 and it has a beautiful Chrysanthemum design. 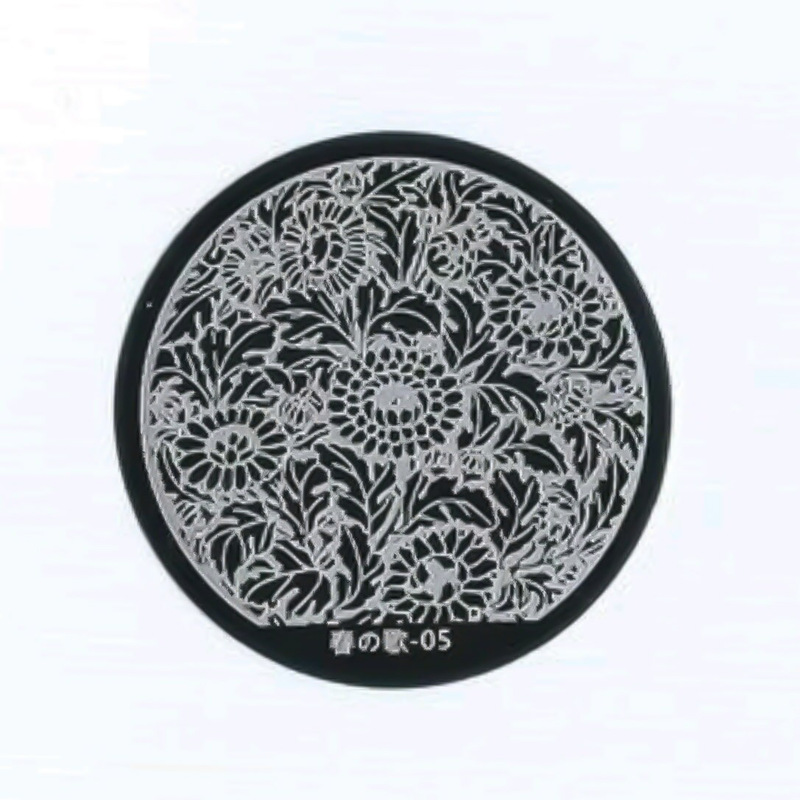 The diameter on this one is 5.5 cm and it's the size of all my other round stamping plates from Born Pretty Store and my Pueen round plates. This features a full design, so you don't really have to worry about exact placement, which I really like. I tested every area of this stamping plate and each image picked up easily. In my opinion, this was etched really well. All of my images transferred very clear. I only tested this one with my M Polish Pekin and my Messy Mansion stamper. I'm really happy with this stamping plate. My base for this manicure is Posh Paints Fade to Black over one coat of Posh Paints Enter Sandman from the Metal Mania Collection. 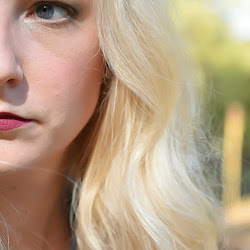 Check out my review of the Posh Paints Metal Mania Collection! Use my Born Pretty Store EPJX31 for up to 10% off your order. 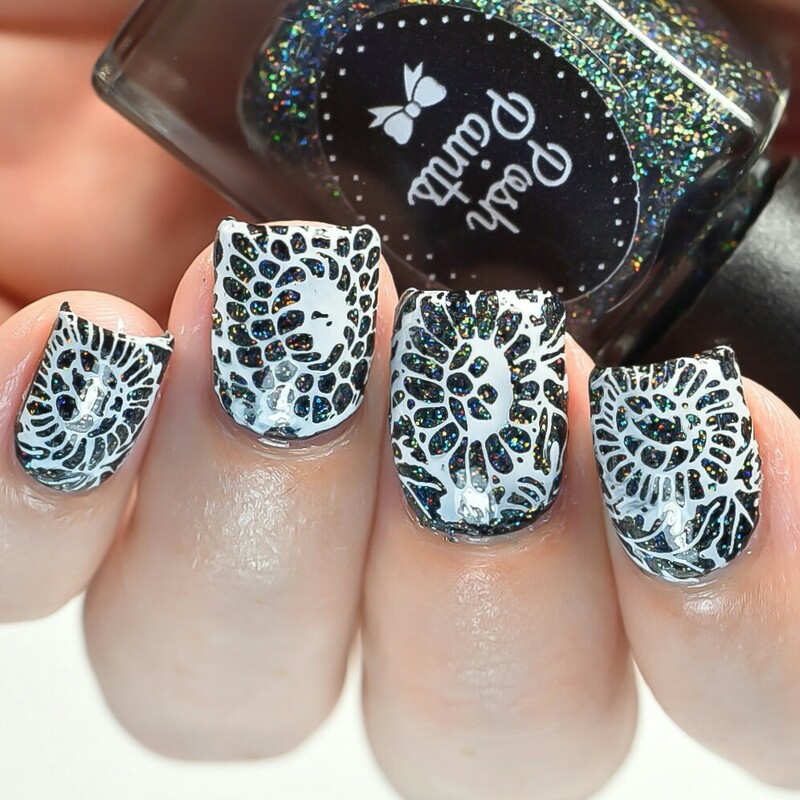 look at the sparkle beneath the stamping. These are the best sorts of eye-candy. Beautiful design! BPS plates are hit or miss for me so I like seeing when others work well! I've had a lot of luck with born pretty plates. I love this design! So gorgeous! I love born pretty stamping plates! 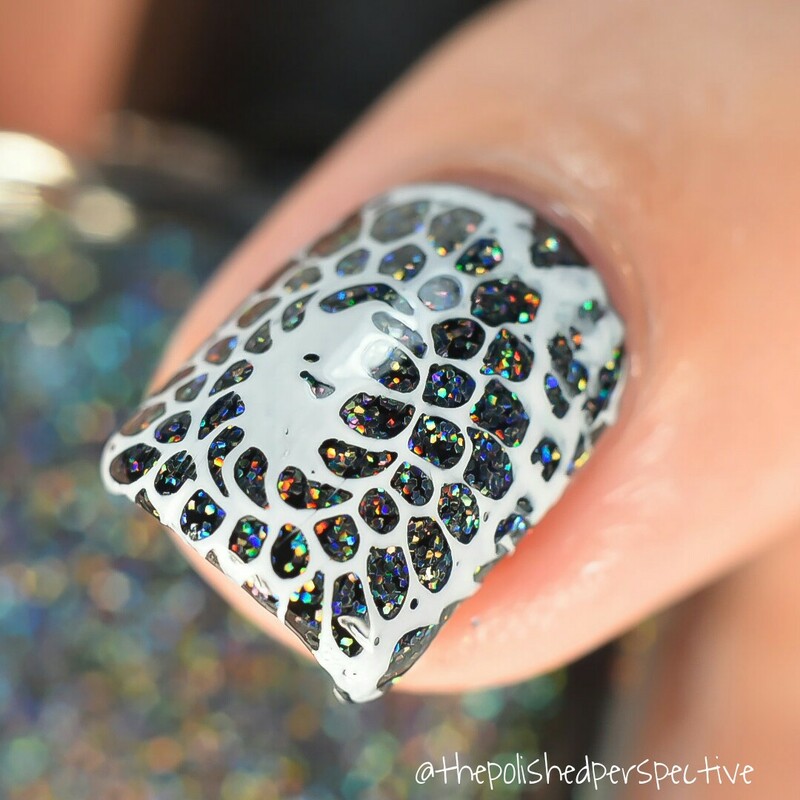 This mani is beautiful! I'm loving that base color you used though! Great review. This is simple but yet stunning. Love it! Oh I love it!! Chrysanthemums are my month flower and I usually hate gem but this looks fabulous!